Are Home DNA Tests Legal? While home DNA tests are legal in Massachusetts, they are not admissible in court. 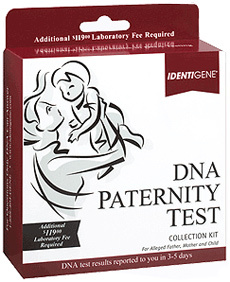 DNA testing is governed by Massachusetts General Laws Chapter 209C. The statute states that for a DNA test to be admissible in Court, it must be completed by a laboratory approved by an accreditation body designated by the federal Secretary of Health and Human Services pursuant to Title IV, Part D of the Social Security Act. A recent article in the New York Daily News said that Duane Reade (NYC’s popular pharmacy chain) is selling over the counter DNA tests. In Massachusetts, these DNA tests will not hold up in court. Let’s take a look at why. The most widely regarded DNA testing facility accreditation body is the AABB. This organization certifies testing centers to make sure they are complying with the best standards and practices of the industry. In order for the sample to be admissible in court, it must be tested at an accredited facility. So why are home tests not admissible in Massachusetts if an accredited facility tests the sample? Home tests are not admissible evidence in Massachusetts courts because there is no chain of custody. To make sure that the DNA is admissible, it is necessary to have the sample taken from a licensed professional who can credibly testify to the chain of custody. The professional will (1) obtain the parties consent and confirm the identification of the tested parties, (2) gather and package the samples in tamper proof medical containers, (3) transfer the samples to the laboratory, (4) test the samples at the laboratory, and (5) record each stage of the process. This will ensure that the chain of custody is maintained. Although a Duane Reade home testing kit may seem inexpensive, convenient and private, the reality is that a DNA test at an accredited center is the only way to guarantee the result will be admissible in court.